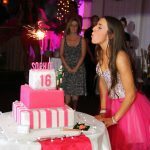 Sophie wanted to dance the night away at her Club Inspired Sweet 16 and that's exactly what she did! 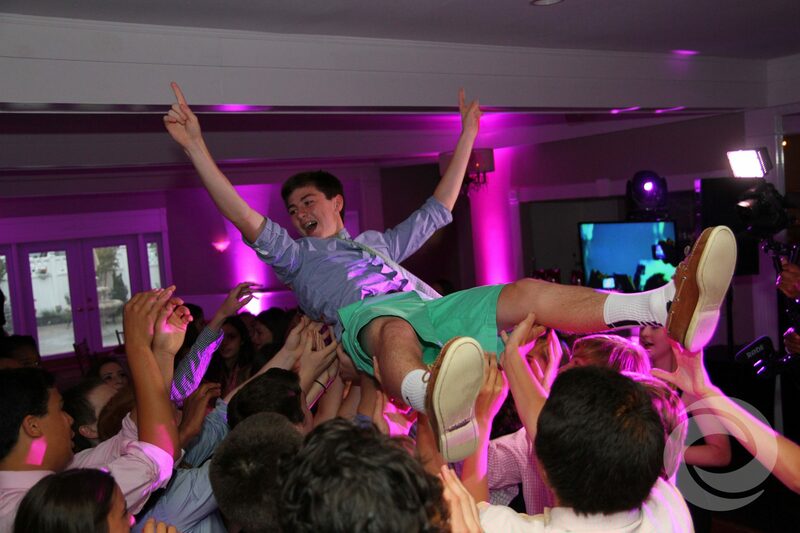 Co-founder and DJ Strato Doumanis provided high-energy club music for the party while MC Robbie "Maserobbiee" Padovano brought his party energy to the dance floor. 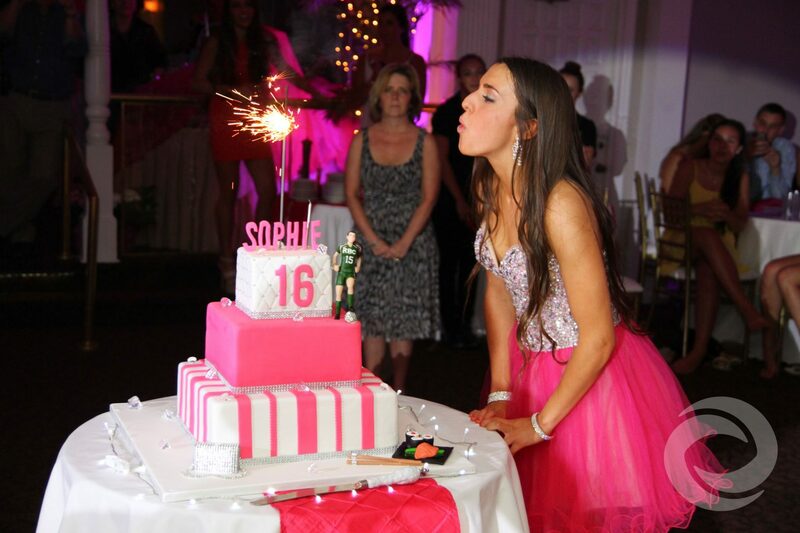 Sophie's Sweet 16 was held at the Spring Lake Manor. 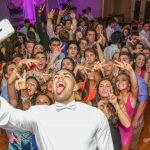 From Weddings to Sweet 16's, Spring Lake Manor is a great choice for any event. There is a raised platform in the main ballroom which adds some height and depth to the DJ area. Spring Lake Manor also has a beautiful wall of windows perfect for drapery to display a custom name-in-lights. 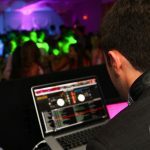 The attentive waitstaff at Spring Lake combined with the planning materials and timeline provided by Hurricane Productions online planner ensured a flawless event. Hurricane Productions provided LED TVs, custom graphics, name-in-lights gobos, uplighting, photography and videography services. 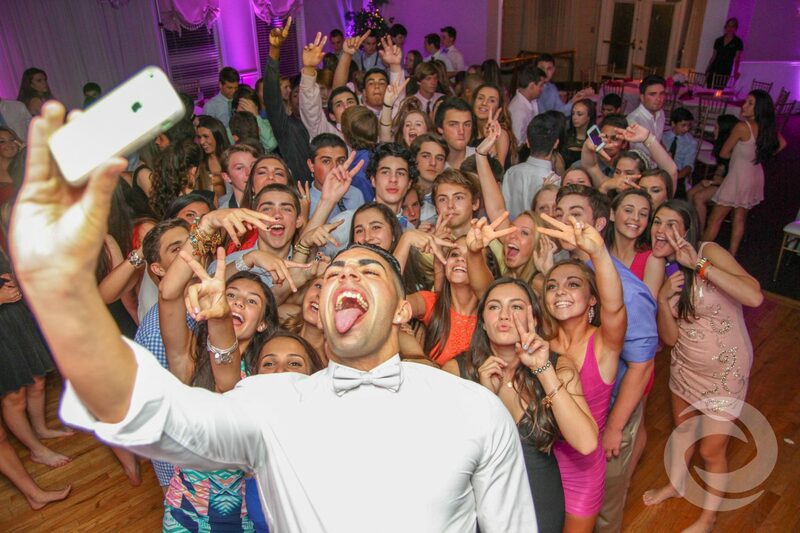 Sophie turned Spring Lake Manor into a serious party venue. 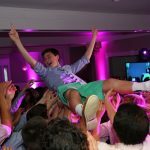 By maximizing her time spent dancing and utilizing Hurricane's lighting design, Sophie was able to turn her Sweet 16 into a nightclub. 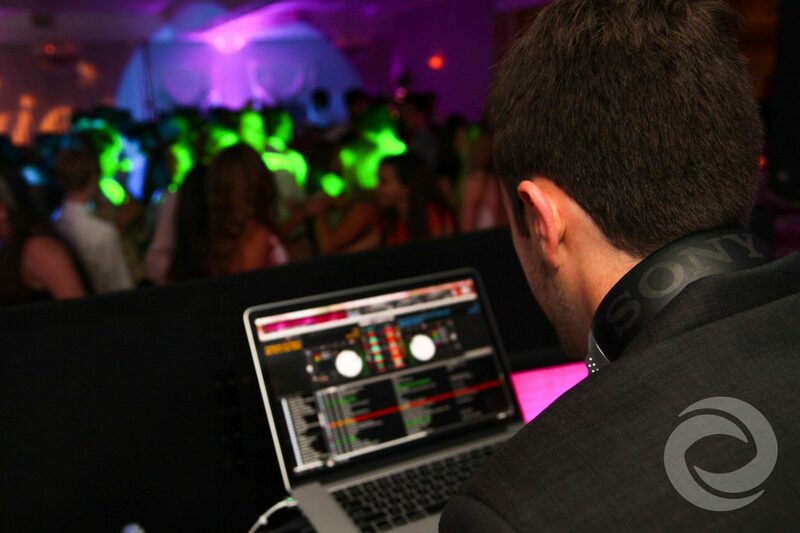 MC Robbie Padovano's is an experienced club MC and helped complete the theme to fully transform Spring Lake Manor.